2003/2/18 16:02 EST. A glory on our way to Atlanta. Nikon coolpix 995 camera. 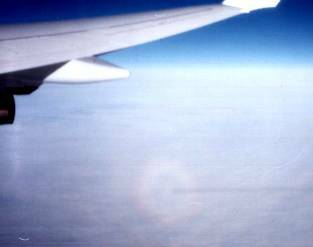 1998/1/18 I took these photos with a Canon sureshot 60zoom camera on a plane to Germany. 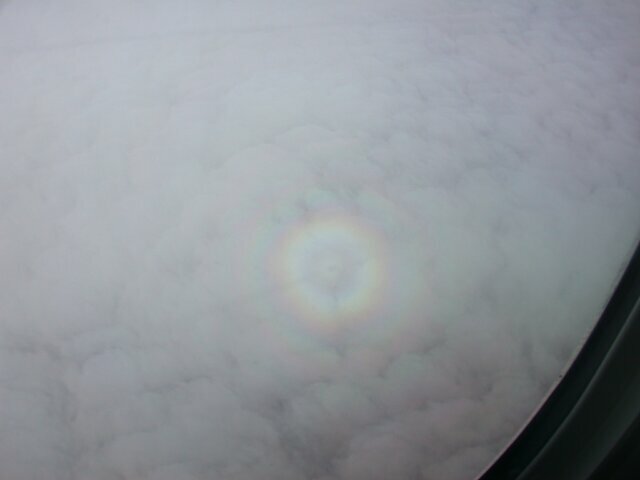 The glory forms when the Sun projects the plane on the cloud beneath. 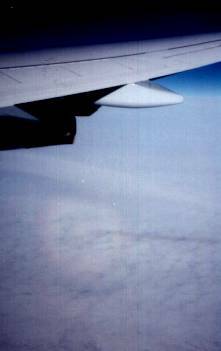 The dark line is the shadow of the jet contrail.